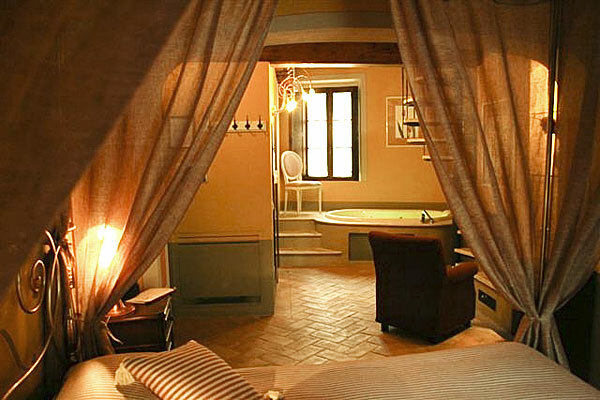 In the historic center of San Quirico d'Orcia, one of the most finely conserved medieval hill top towns in Tuscany, Hotel Palazzo del Capitano Wellness & Relais occupies what was originally the splendid home of the noble Biringucci family, whose family crest can still be seen on the hotels façade. 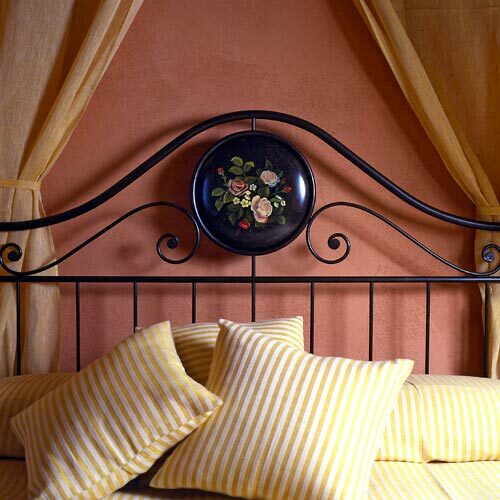 Todays owners, Roberto and Cosetta Genovese, spent years restoring the 15th century residence into what is now, by far, one of the most charming boutique hotels in the whole of the Orcia Valley. 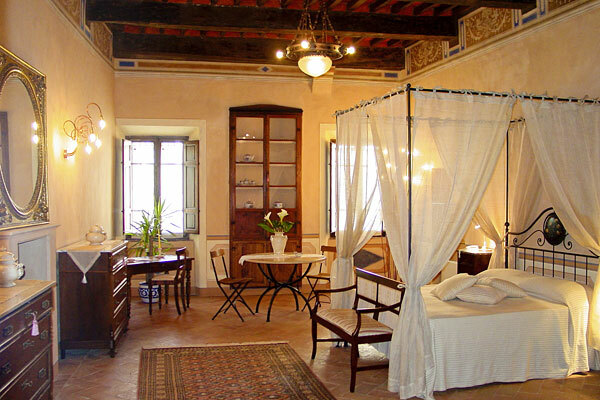 In keeping with the centuries-old architecture, Palazzo del Capitanos bedrooms and suites have been decorated in traditional Tuscan country style, using items of locally crafted furniture, quality textiles and antiques. 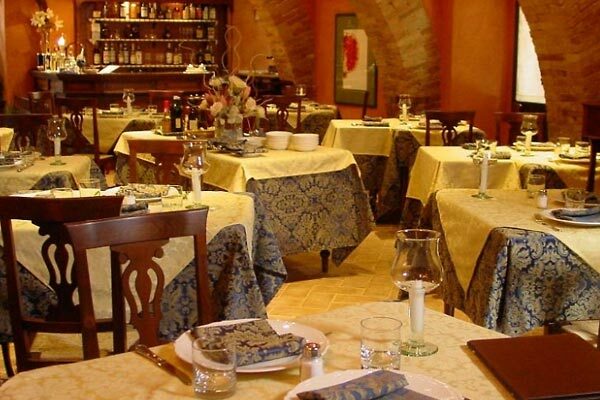 The ancient stables, characterized by magnificent vaulted ceilings and a large central fireplace have been converted into an attractive dining room in which both breakfast and aperitifs are served. Delicious local dishes, prepared using the finest of seasonal ingredients and accompanied by an impressive selection of Tuscany's world-famous wines, are available at the Trattoria Al Vecchio Forno and the Petessi Restaurant and Wine Bar. 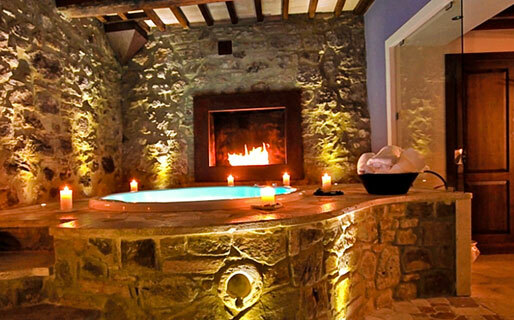 When not off exploring San Quirico d'Orcia and the other pretty little hilltop towns of Val d'Orcia, guests might easily be found in Palazzo del Capitano's Grotta di Venere spa, luxuriating in the "Aphrodite's tub", indulging in a professional massage, or enjoying one of the centers face and body treatments. A selection of herbal infusions are served in the adjoining Salone del Zodiaco, relaxation room. An idyllic location for an unforgettable wedding party, Hotel Palazzo del Capitano Wellness & Relais provides beautiful accommodation for newlyweds and their guests and professional catering services for intimate wedding receptions and cocktails, these held in the gardens of the hotel. In the last 30 days 113 people have visited this page. 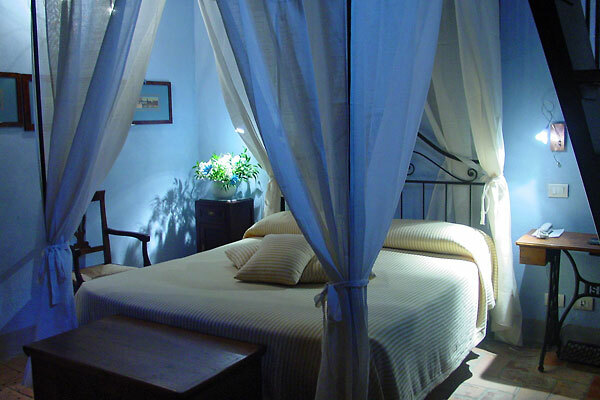 Hotel Palazzo del Capitano Wellness & Relais'' is situated in San Quirico d'Orcia, a small medieval town in the heart of the Val d'Orcia. 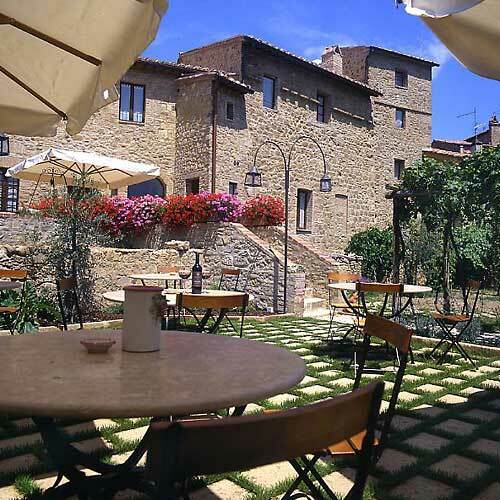 From here any number of fascinating towns of great artistic and cultural interest are all within easy driving distance; towns such as Pienza, Montalcino, Montepulciano and Chianciano Terme. 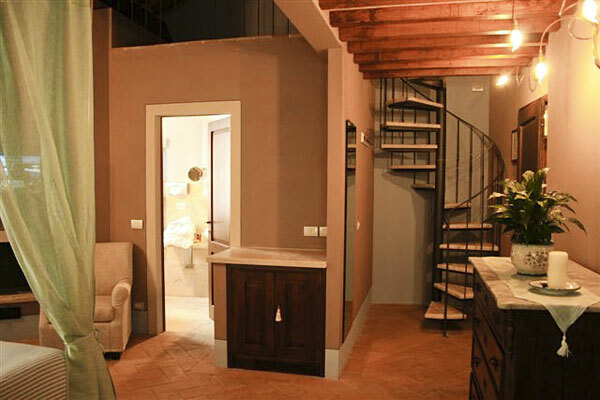 The city of Siena lies a mere 40kms away, whilst Florence is a 80kms drive from the hotel. Perugia, principal town of the region of Umbria, is situated 100kms south east of San Quirico d'Orcia'''.